His Majesty's Yacht Iolaire[a] (Scottish Gaelic for "Eagle") was an Admiralty yacht that sank with great loss of life at the entrance to Stornoway harbour on the Isle of Lewis on 1 January 1919. 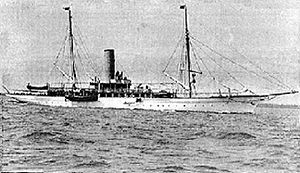 The sinking of the yacht, which was originally the Amalthaea but renamed in 1918,[b] was one of the worst maritime disasters in United Kingdom waters during the 20th century. Although the Iolaire struck rocks just yards from shore, at least 201 men out of the 283 people on board perished — most of whom were Royal Navy Reservists returning home at the end of the First World War — because of the appalling weather and sea conditions. Iolaire was carrying sailors who had fought in the First World War back to the Scottish island of Lewis in the Outer Hebrides. She left the port of Kyle of Lochalsh on the mainland late on the evening of 31 December 1918. At 2:30 a.m. on New Year's Day, as the ship approached the port of Stornoway, a few yards offshore and a mile away from the safety of Stornoway Harbour, she hit the infamous rocks "The Beasts of Holm" and sank. Those on board would have been able to see the lights of Stornoway. The death toll was officially put at 205, of whom 181 men were islanders but as the ship was badly overcrowded and there was a lack of proper records, the toll could have been slightly higher. John F. Macleod from Ness, Isle of Lewis, saved 40 lives, swimming ashore with a heaving line, along which many of the survivors made their way to safety. Only 82 of the 283 (officially known) passengers survived the disaster; 71 percent of the people on the yacht perished in the incident. The impact of the disaster was devastating to the Islands; 205 passengers were lost, representing almost an entire generation of young men from the Islands. The sailors were wearing their uniforms including heavy boots, which made swimming from the wreck difficult — indeed many men of that time had never had the opportunity to learn. Many songs and poems, such as An Iolaire, describe the women of these men finding their men washed up on the shore the next day. The sinking is the worst maritime disaster (for loss of life) in United Kingdom waters in peacetime, since the wreck of the SS Norge off Rockall in 1904 and the worst peacetime disaster involving a British ship since Titanic on 15 April 1912. An Admiralty enquiry found no satisfactory explanation for the disaster. Its inconclusive findings generated much ill feeling amongst the Lewis population, amidst accusations of a "whitewash". While drunkenness among the crew was discounted at the enquiry, the vessel was sailing at night, in poor visibility and in deteriorating weather. The entrance to Stornoway harbour is not the most straightforward of navigations and it is possible that navigational error was to blame. This hypothesis appears to be supported by the crew of a fishing vessel who noted that Iolaire was not navigating the correct course for entering the harbour. 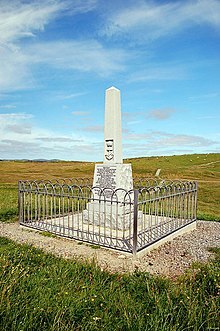 A memorial was erected in 1958 at Holm, outside Stornoway. A stone pillar sticks out of the water at the site of the wreck, which can be seen to starboard as the car ferry approaches the harbour entrance. The community-led commemoration of the centenary was marked in a number of ways including by musicians such as Julie Fowlis and Duncan Chisholm, as well as local artists such as Malcolm Maclean. The disaster has been included in the AHRC (organization) "Living Legacies (1914-18)" project, led by Abertay University and The Centre for History, University of the Highlands and Islands and the resulting app highlights the nature and extent of the loss felt by families and communities. A national commemorative service was held at the memorial on 1 January 2019 to mark the centenary of the disaster, attended by First Minister of Scotland Nicola Sturgeon and Prince Charles, Duke of Rothesay, who unveiled a new memorial at Holm which depicts the rope used by John F. MacLeod to save 40 lives. This page is based on the Wikipedia article HMY Iolaire; it is used under the Creative Commons Attribution-ShareAlike 3.0 Unported License (CC-BY-SA). You may redistribute it, verbatim or modified, providing that you comply with the terms of the CC-BY-SA.